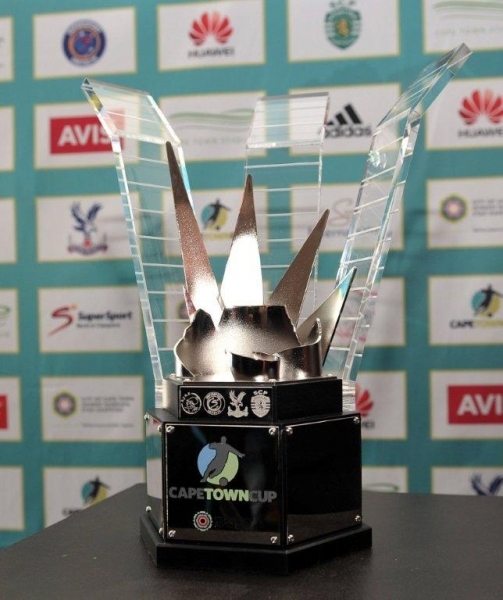 The Cape Town Cup trophy. 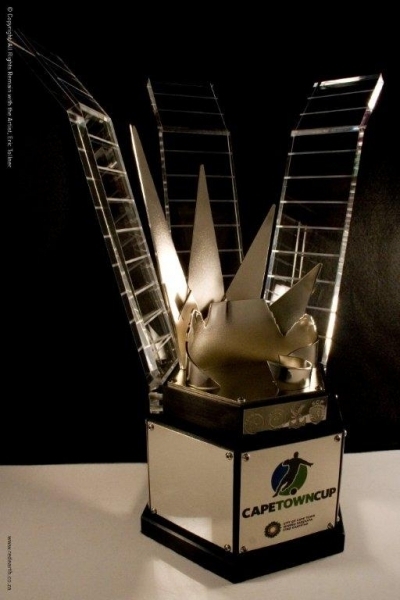 Yesterday’s Cape Town Cup media launch revealed the tournament trophy, a trophy that incorporates the prominent features of the beautiful Cape, into a stylish and practical masterpiece. 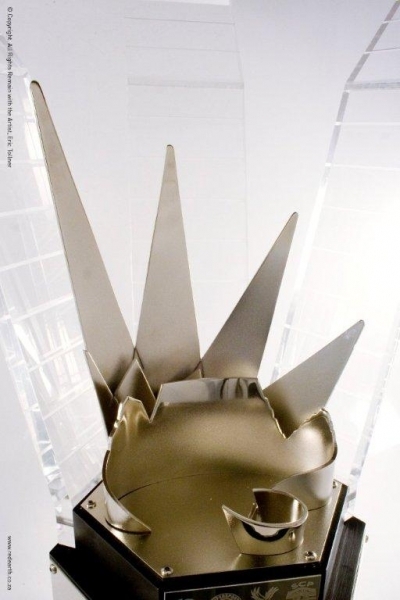 Created by Eric Tollner of Red Earth, the features chosen to be included in the design were the world famous Table Mountain, recently crowned one of the worlds ‘New 7 Wonders of Nature’; the Protea to symbolise the rich fynbos that forms part of the Cape Floral Kingdom, and the prominent skyline feature of the Cape Town Stadium. The design process involved sketching these features into an aesthetically pleasing and practical award, incorporating a base to display the engraving details and uprights to provide height. The dark material base added contrast to the bright metal work placed on and around it, with three tiers adding substance and weight. The uprights, created in a clear material are designed to angle backwards, and horizontal lines were milled into each of the three uprights to depict the lattice-like structure of the stadium. 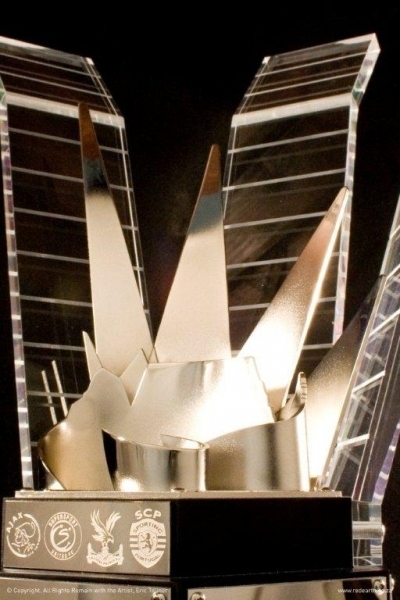 The angles of the uprights, based on the profile of the stadium, find a nice balance between giving the trophy prominent height and creating a flaring out effect. The metal design feature, created in a polished and satin finish, was placed on the top tier of the base as a central focal point. It is to incorporate the Table Mountain shape, curved from Devils Peak around to Lions head, and down into Signal Hill, with a metal curve in the foreground to depict the stadium.